Saturday at the sheep and wool festival. These guys were so small and funny, like little clowns all bumping into each other and making the silliest "baaaa"'s I've ever heard. They kept at it the whole time we were in there. 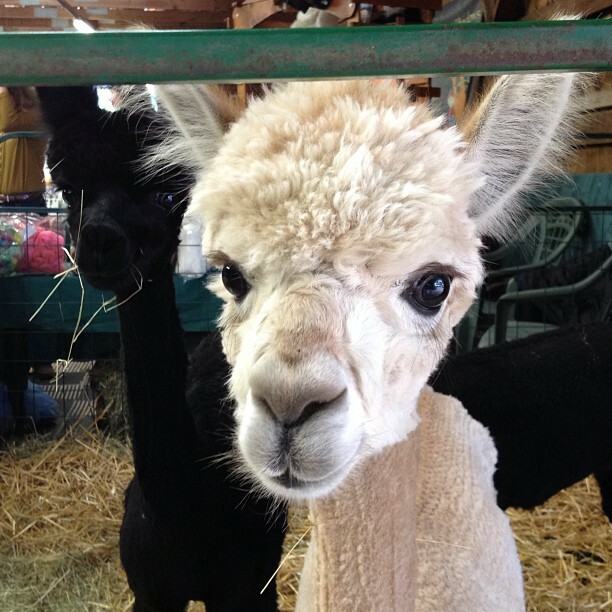 And these alpacas were a sight for sore eyes. They had all just been sheered, I never realized how skinny their necks are! Cutie pies. I got some raw wool there that I look forward to washing and spinning, or maybe even felting if I feel adventurous. I also got a few pelts, one grey and one cream/brown grey. Fun fluffy times.